Straughn Middle School: Turning Up the Heat! 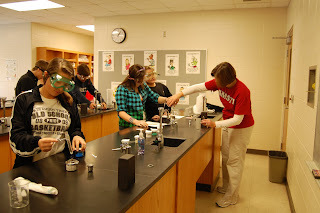 The 8th grade "turned up the heat" in science class. 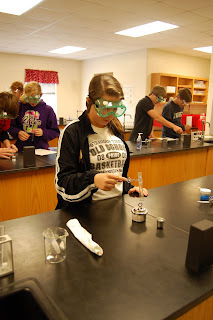 Students donned goggles and used Bunsen Burners to observe the changes that occur in various chemicals when heat is applied to those chemicals. That sounds so much fun. omg..that was like the best lab ever!! !